Two Northern Illinois University biologists are key members of an international consortium of scientists that has sequenced and analyzed the DNA of two wild varieties of petunia—a four-year effort that could usher in a new era in floriculture, one producing varieties of flowers with new color schemes and fragrances. The simple, colorful beauty of petunias created a multi-million dollar industry driven by the bedding plant’s popularity among backyard gardeners and professional landscapers alike. NIU plant sciences professor Tom Sims and other members of the research team wanted to go beyond the plant’s surface to understand how the garden variety petunia, known scientifically as Petunia hybrida, came to be with its beautiful array of colors and styles. 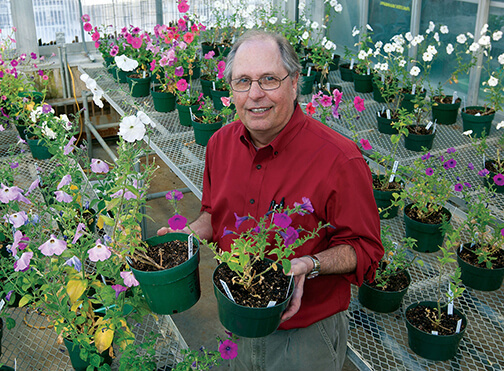 That curiosity spurred on the Petunia Genome Project, which sought to better understand the DNA sequence of a plant that has an important and fundamental role in plant biology research. The project involved researchers from nearly 30 institutions in 10 countries, with Sims at the helm coordinating the overall plan for determining the sequence. 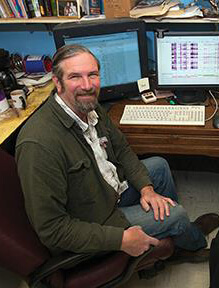 Department of Biological Sciences professor Mitrick Johns also played a key role as he worked with others in developing a strategy for analyzing the genome sequences. Insights from the whole-genome sequencing of the two parent petunia species are described in the May 27 issue of the journal Nature Plants and discussed in an accompanying editorial. 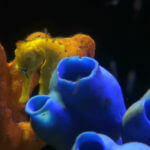 The study shows a complicated genetic history and identifies portions of the genome with genes for color and scent. The future value of work, according to the NIU professors, is multi-fold: development of more petunia varieties for consumers; the advancement of research within the plant’s family; and a showcase of the high-quality research being spearheaded at NIU. 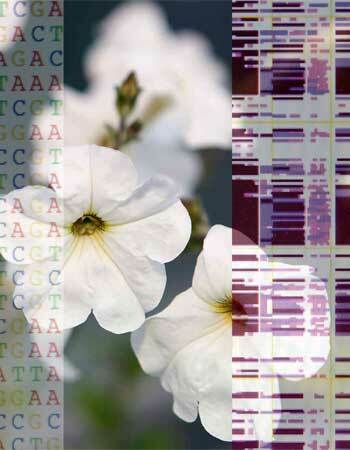 The project brought together more than 50 researchers in a collaborative effort to sequence, assemble and analyze the genomes of Petunia hybrida’s two parent species, first crossed in the early 1800s to produce hybrid petunias. Aureliano Bombarely of Virginia Polytechnic Institute and Michel Moser of the University of Bern in Switzerland shared first-authorship on the Nature Plants article, which included co-authors Sims, Johns and others. Sims worked to determine the parent species’ DNA sequences with Professor Cris Kuhlemeier from the University of Bern. 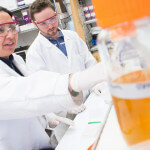 Johns, director of NIU’s bioinformatics program, coordinated with professors from Cornell University and Bern on the basics of how to analyze the data. Johns said the information trickled in over a couple of years, likening the process to assembling a large object out of many very small pieces. Computers helped structure the majority of the data, but there was still plenty of gene analysis to be done by the researchers. In the end, many genes were uncovered, and the project will help scientists better understand the path from DNA to an organism. 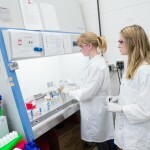 Sims said the project also furthered the Biological Sciences Department’s three missions of teaching, research and service. From the teaching perspective, the project has already been part of undergraduate courses, while graduate students actively participated in the work or are currently using the genome data in their own research projects. “In terms of service, the data is already being used and analyzed by researchers worldwide, and, also, presumably by the plant breeders,” Sims said. In Johns’ eyes, there’s another eye-catching benefit of better understanding what make the petunia pretty. “Beauty is very important,” he said.